Robert Redford backpedals on his (latest) retirement announcement: "That was a mistake." 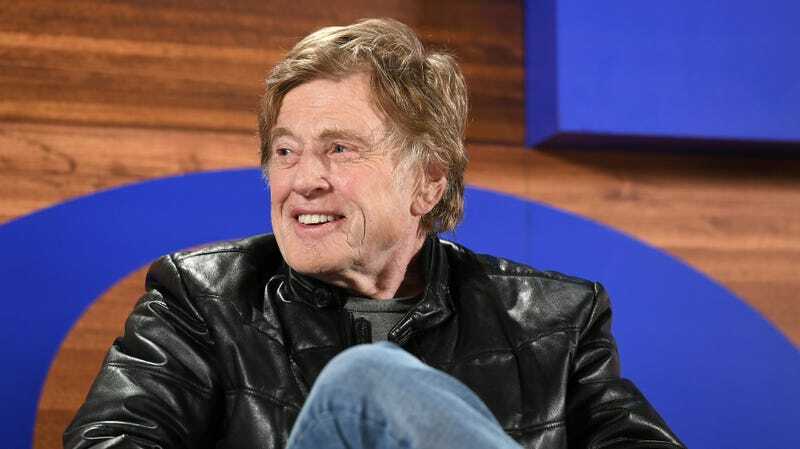 Last August, with his announcement that his upcoming film The Old Man And The Gun would be his last, Robert Redford began his journey into the cinematic sunset…only to immediately turn his horse right back around this week. The Old Man And The Gun recreates the true story of the legendary, happy-go-lucky bank robber Forrest Turner, who robbed 17 banks, was arrested 17 times, and escaped 17 times, showing a dogged inability to quit not unlike Redford’s own. “I couldn’t think of a better project to go out on than this film,” Past-Redford said last month, pointing to its dramatic contrast with his recent, more somber Our Souls At Night. The Old Man And The Gun hits theaters next Friday, September 28.